Lauren Grodstein’s provocative new novel, The Explanation for Everything, published by Algonquin Books on Sept. 3, has been selected as one of Amazon.com’s Best Books of the Month. It is also currently an editor’s choice on BookBrowse.com. In addition, Algonquin Books, Kobo, and the American Booksellers Association have partnered to create The Explanation for Everything e-sampler. For further details, click here. In this ambitious work, the ongoing debate between Darwinism and intelligent design sets the pivot points for a moving tale of life, love, morality and forgiveness. According to Grodstein, writing the book was a way for her to explore the conflict surrounding evolutionary biology – a subject that has long fascinated her – and fully examine viewpoints that she finds intriguing, but doesn’t necessarily share. “As a writer, there is nothing better than getting into a juicy controversy and trying on all sides,” says Grodstein, an associate professor of English and director of the master of fine arts (M.F.A.) in creative writing program at Rutgers–Camden. 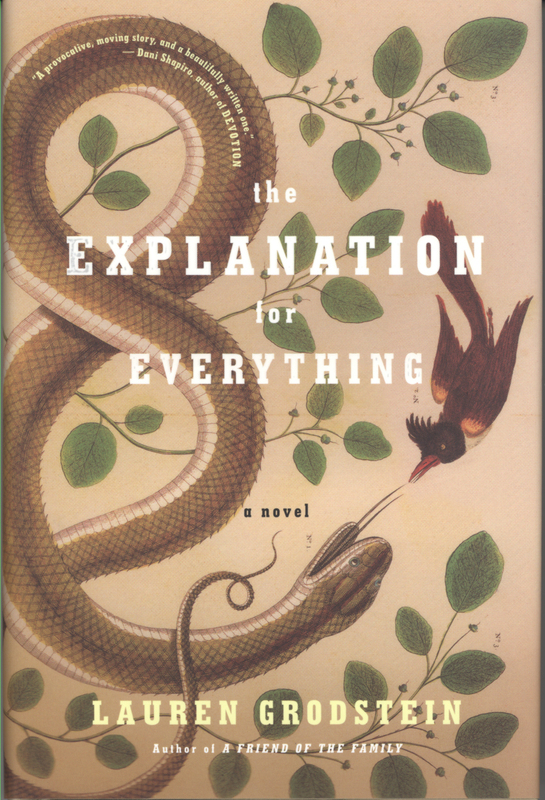 The novel centers around Dr. Andy Waite, a professor in a small South Jersey college, who teaches that Darwinism – as the book’s title alludes – is the “explanation for everything.” Still haunted by the death of his wife, Lou, at the hands of a teenage drunk driver, Andy dedicates his research to proving that alcoholism is a genetic state, not a curable disease, leading to unchangeable behavior patterns. While any notions of true happiness are a fleeting memory, he is content in his simple, mundane life as a scholarly professor, congenial neighbor, and devoted father to his two young daughters, Rachel and Belle. That is – until Andy is asked by a student, Melissa Porter, to serve as her faculty advisor on a research project attempting to prove the validity of intelligent design. While Andy believes that the subject is inherently not provable, he reluctantly agrees. In his quest for truth, Andy suddenly finds himself questioning his own core-held beliefs. As answers unfold more questions, he is forced to confront many personal issues that have plagued him, including his struggle to forgive Oliver McGee, the young man responsible for Lou dying. “One of the things that Andy is trying to do throughout the novel is figure out how to address the teenage drunk driver who killed his wife in a moral way,” says Grodstein. 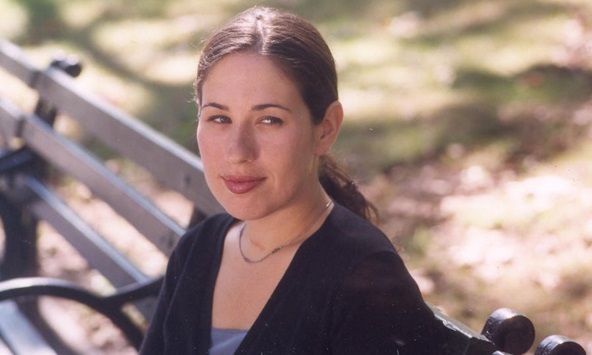 In preparation for the novel, Grodstein conducted extensive research on both sides of the subject, as evidenced in the well-crafted arguments colliding throughout the book. She also gained immeasurable insight into the lives of working scientists by visiting research labs at Rutgers–Camden and her alma mater, Columbia University. She credits her colleagues for providing a level of expertise and authenticity to her craft that she otherwise wouldn’t have. Grodstein’s own experiences living and working in New Jersey also add an authentic Garden State flavor to the story. It begins in Princeton and then is set primarily in the Pine Barrens, which she fondly regards as a “beautiful and mysterious area” that she has only recently gotten to experience since relocating to South Jersey. “In the most densely populated state in the nation, it is this sort of secret place,” she says. A resident of Moorestown, Grodstein is the author of the New York Times bestseller, A Friend of the Family (Algonquin, 2009), which was a New York Times Editor’s Pick, Washington Post Book of the Year, and an Amazon.com Spotlight Pick and Best Book of the Month. Her previous works include Reproduction is the Flaw of Love, (Dial, 2004) an Amazon.com Breakout Book and a Borders Original Voices pick, along with the story collection, The Best of Animals (Persea, 2002) and the pseudonymous Girls Dinner Club (Harper Collins, 2005) which was a New York Public Library Book for the Teen Age. Her work has been translated into German, Italian, French, Turkish, and other languages, and her essays and stories have been widely anthologized. Grodstein earned a bachelor’s degree in English and a master of fine arts degree from Columbia University.